It is just half way through the summer and we in the Berkshires are readying ourselves for this weekend's Trail Olympics. 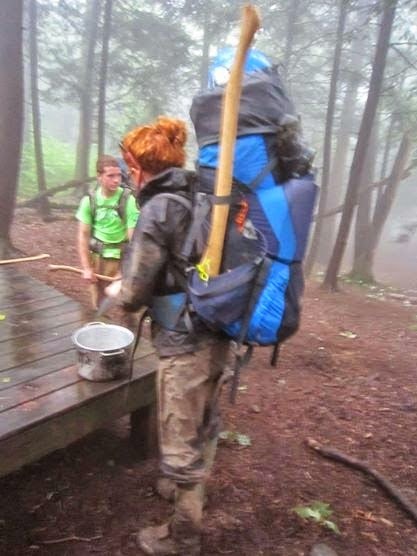 As we stare down at our now tanner, more muscular and ever dirt-covered arms, we think back on what our Berkshire Teen Trail Crew and Appalachian Trail Ridgerunner programs have accomplished. 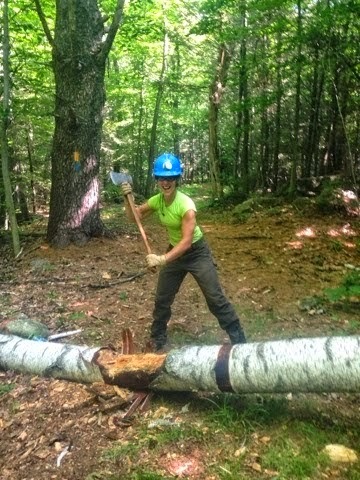 At the start of the trail crew season some of us were quite green when it came to trail work and leading teenage volunteers but a mere month and a half into summer and you would be hard pressed to identify a novice crew leader. Highlighting a bit of the impressive list of work completed this summer may explain how our staff has become so seasoned, so fast. Our work with the Becket Land Trust (BLT) has seen over 1,000 feet of new tread competed as well as the installation and improvement of more than 30 drain dips and water bars. Still important but less glamorous are the incredible stretches of corridor clearing done for the BLT. 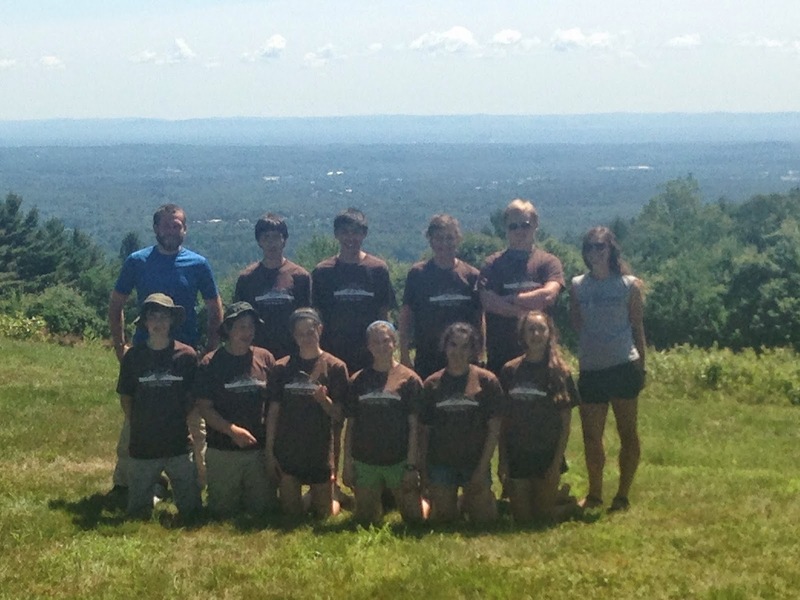 Our teen volunteer trail crews have also spent time working along the Appalachian Trail (AT) in Massachusetts at sites that include Department of Conservation and Recreation's (DCR) Mt. Greylock State Reservation and Mt. Everett State reservation. By rolling boulders, building bridges and moving pounds of crush-rocks the crews are not only getting buffer by the day, they are also becoming a part of the AT's very proud legacy. 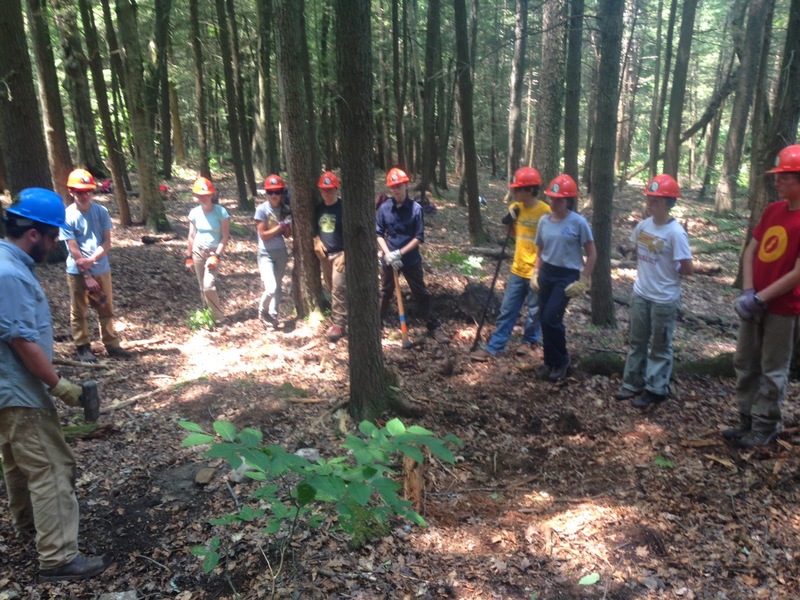 The Leadership Trail Crew (LTC) has had a hand in nearly all of the diverse work that has been done this season. 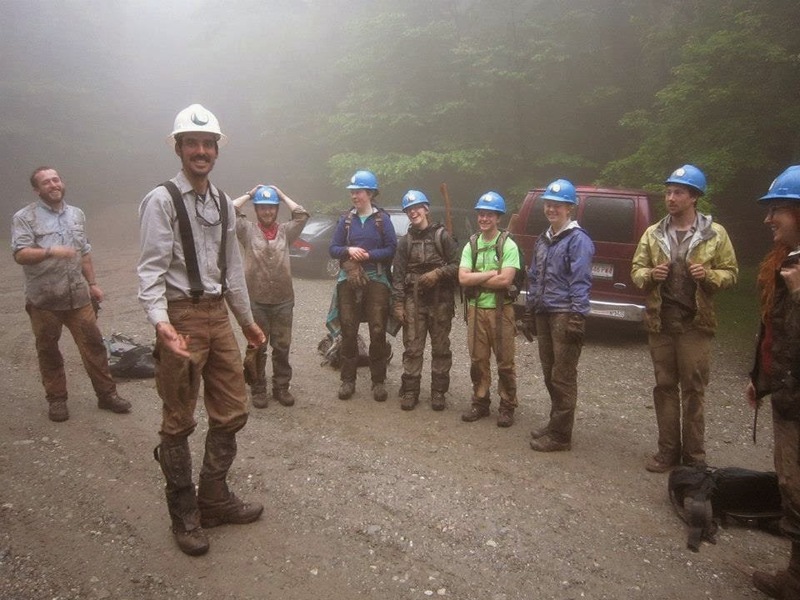 The LTC spent 2 (of what will be 4 total) weeks in the field building native bog bridges with Appalachian Trail volunteers on Mt. Greylock. The LTC's final 2 weeks will be spent addressing drainage issues on AT on Mt. Everett. The crew's weekends have been quite productive, split between a Leave No Trace Trainer course, Wilderness First Aid certification, and this upcoming weekend they will be treated to a well deserved weekend of swimming, a lesson in pizza making and s'mores. The AMC Noble View Outdoor Center, just outside Russell, MA is continuing to successfully host it's first full season of programing. The nine weeks of base-camp teen trail crews have been tackling a major project to make the Noble View trail system more user friendly. This work includes 6 trail reroutes and the installation of a completely new facility-wide signage system. 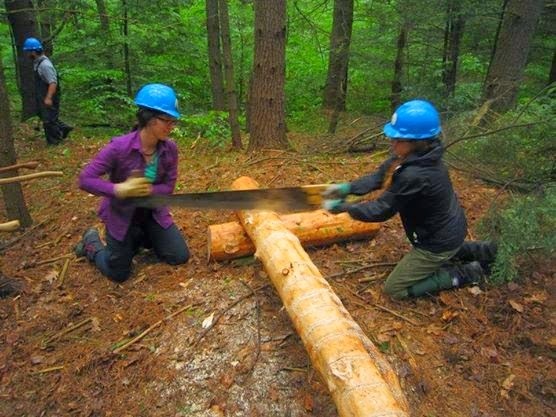 Beginning next week, our two Noble View crew leaders will begin leading teen trail volunteers on backcountry spike crews along the New England National Scenic Trail. If you happen to have run across friendly folks in uniform along the AT in Connecticut, then chances are you've met our AT Ridgerunners. These trail adoring mountain folk spend their entire summer, from Memorial Day through Labor Day, living and hiking along the AT. Our Ridgerunners are stewards of the trail and beyond monitoring trail and campsite conditions they play several crucial roles including caretaking at Sages Ravine campsite, trail maintenance and reporting, educating the public on Leave No Trace principles and sharing and adding to the AT culture. Family AT Day at Beartown State Forest is onSaturday July 26 and we encourage our fellow lovers of the outdoors to attend. Beyond that there is so much work to be done in support of our beautiful New England trail systems we extend to all of you and yours, an invitation to join, work, volunteer or just chat with us...we mostly like talking about doughnuts, current events and telling embarrassing stories about co-workers.